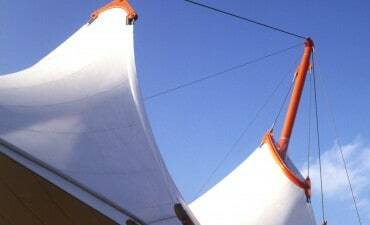 Few materials match the drama and interest of lightweight tensile fabrics. Using the natural qualities of architectural membranes brings curvature, translucency and clear spans to external and internal space. 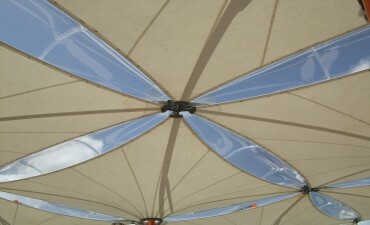 An economical, fully recyclable, multi-purpose fabric that is excellent for both permanent and temporary structures. PVC polyester is the default fabric choice. A beautifully engineered fabric with high translucency. 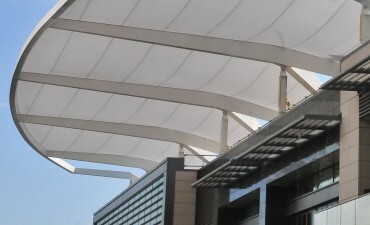 Used for both external structures and interiors for ceilings and screens. 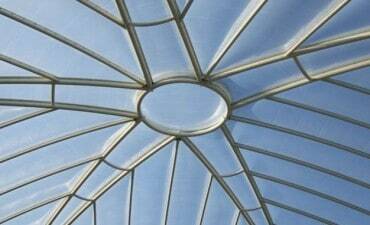 Known for its durability, PTFE glass cloth is a strong fabric which is perfect for large complex structures. At 1% the weight of glass with up to 95% light transmission, ETFE is a smart fabric for creating light, bright and airy spaces. UV translucency allows natural plant growth. 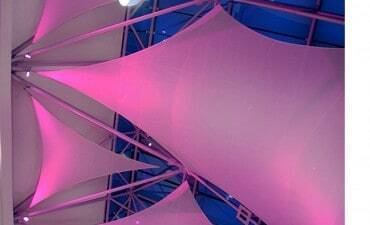 A premium fabric with outstanding light transmission that can be used on permanent or retractable structures. An interior fabric with Class O fire rating and excellent acoustic properties. Perfect for screens, blinds, sails or fabric features. A lightweight fabric for internal use. 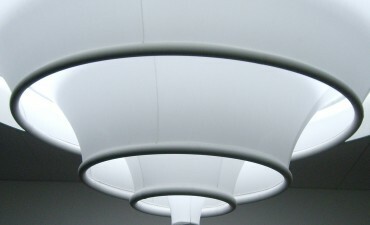 Stretch Fabric is perfect for sculptural projects or those where glare diffusion is required.